This pretty little pendant is a subtle and sophisticated way to save a special date. 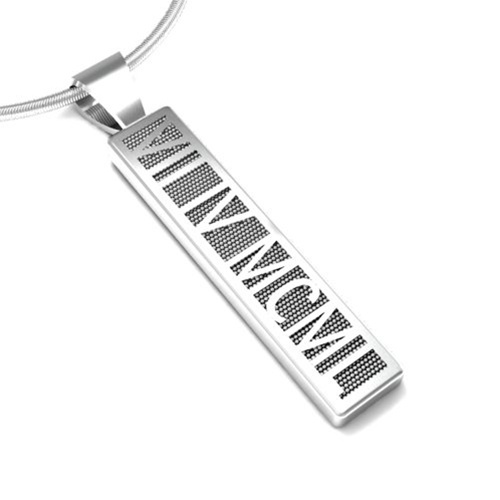 Classic Roman numerals – representing the day, month and year – are sure to get attention. Choose your pendant in gold, silver, palladium or platinum as a meaningful gift for yourself or someone you love. (Approximately 1 1/3 “ long).